Involv is built on the Office 365 SharePoint framework. We harness the power of SharePoint and a user friendly interface to deliver the best intranet experience. There’s a lot of knowledge and data within your organization. Centralizing that data in one place will drastically improve efficiency. SharePoint lets you bundle this data for departments or projects and assigns access rights accordingly. Retreiving this data is easy, thanks to SharePoints world-renowned search capabilities. SharePoint offers powerful features to improve collaboration and employee envolvement. Work with multiple users on one document at the same time, share calendars, tasks, news and documents, create department- and project workplaces and start conversations. All of these features are available on all your devices: whether it’s a mac, PC or mobile device. Improve productivity by transforming processes. This can be simple tasks like notifications and approvals, or more complex operational workflows. SharePoint makes it easy to create and visualize these workflows. Stop mailing documents back and forth, an approval flow will take care of this tedious job for you. 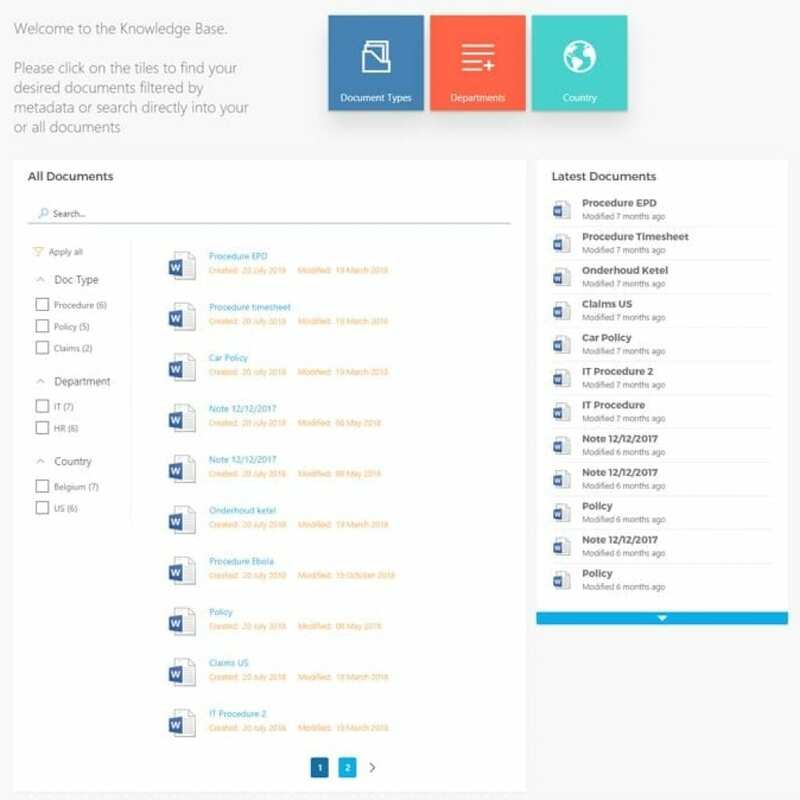 Set up a form to ensure every information is stored in a correct way, then push it to the correct person and create reports for the stakeholders. Centralizing data implies that you can connect your different data sources. This way you only have to update your data in one place to avoid data discrapencies. SharePoint offers a seamless integration with Office 365 and tons of other tools can be integrated code-free through Microsoft flow. 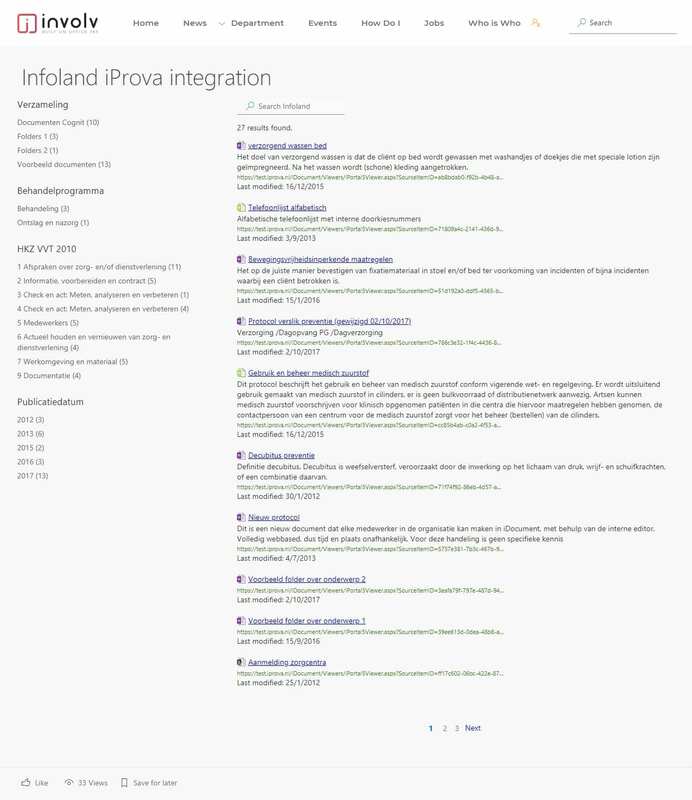 More advanced integrations are possible through API connections. So, with all these possibilities, why not just use SharePoint out of the box as your intranet solution? Well, creating a SharePoint intranet requires a lot of time and special expertise, both concept-wise and technically. Even if you choose not to do any advanced customizations. Involv saves you time; you can start focusing on adding content from day one. Involv is built according Microsofts ánd business best-practices. It’s the glue between all the Office 365 apps and some custom applications like the expenses and lunchorder app. Learn more about all the Involv features here or request your demo.